No monk strap shoe ever looked so sleek as the "Flex-Laurel" from Aravon with its elegantly tapered styling and self-securing strap with metal button detail. 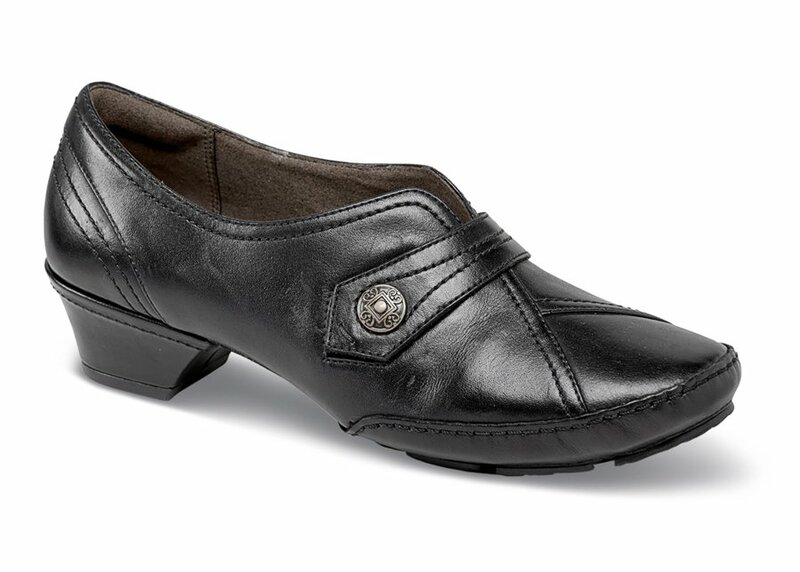 A 1½-inch PU wrapped heel with rubber toplift adds height without sacrificing stability. Textile linings. Removable molded EVA and Memory Foam footbed. Steel shank. 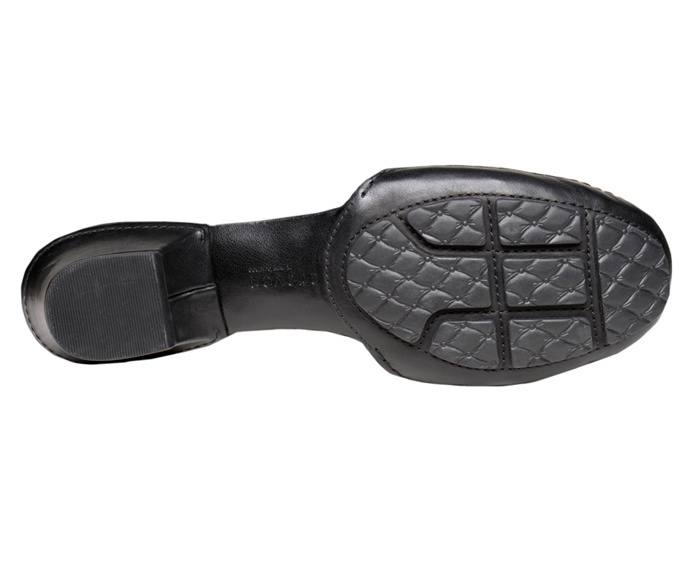 Rubber outsole pads. Originally $149.95. Limited stock in women's 2E width in sizes indicated.